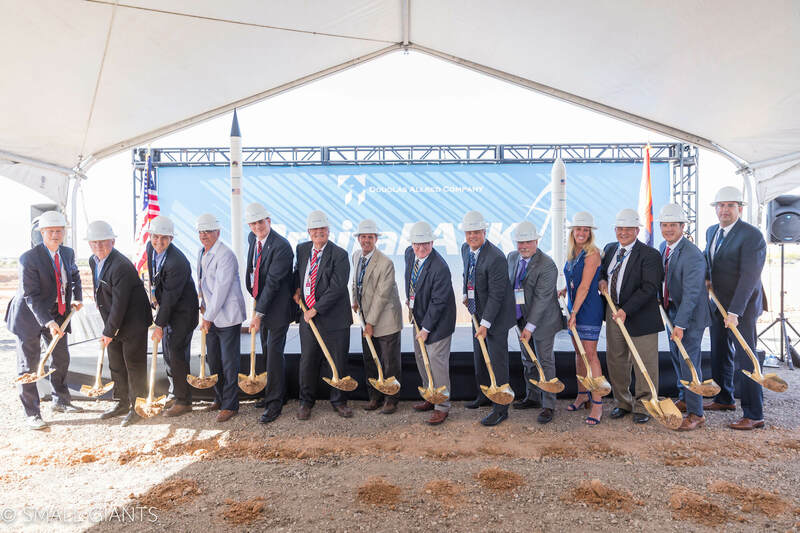 Phoenix, Ariz. – Willmeng Construction, Phoenix, broke ground on a 617,000-square-foot campus for Orbital ATK, which will serve as the Launch Vehicles Division Headquarters. 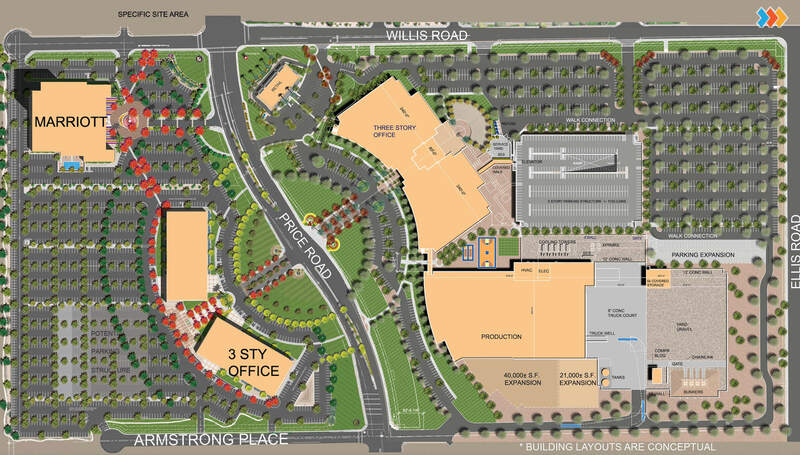 This is the latest example of how thoughtful vision and planning for mixed-use developments like Park Place by developer Douglas Allred Company, San Diego, Calif., are spurring more corporate relocations, economic development and job creation opportunities along Chandler’s Price Road Corridor. Located along one of Metropolitan Phoenix’s fastest-growing employment and innovation corridors at the intersection of the Loop 101 and 202 freeways on a 47-acre site at the southeast corner of Price and Willis roads, Orbital ATK’s new multiple-building facility includes office space and 261,000 square feet of state-of the-art manufacturing space, strategically positioned within the campus, scheduled for completion in 2019. It’s the latest addition by Douglas Allred Company at Park Place, a 180-acre master-planned office/flex space development that will offer a variety of low- and mid-rise office space, executive suites, hotels, conference centers, light industrial parks as well as mixed-use and corporate campus settings. Park Place has fully-leased all of the buildings constructed since the masterplan development first began in 2008, totaling 1.233-million square feet of fully-occupied space. “Our ultimate vision would always be a world-class headquarters of international status and Orbital ATK’s new campus aids in that goal. 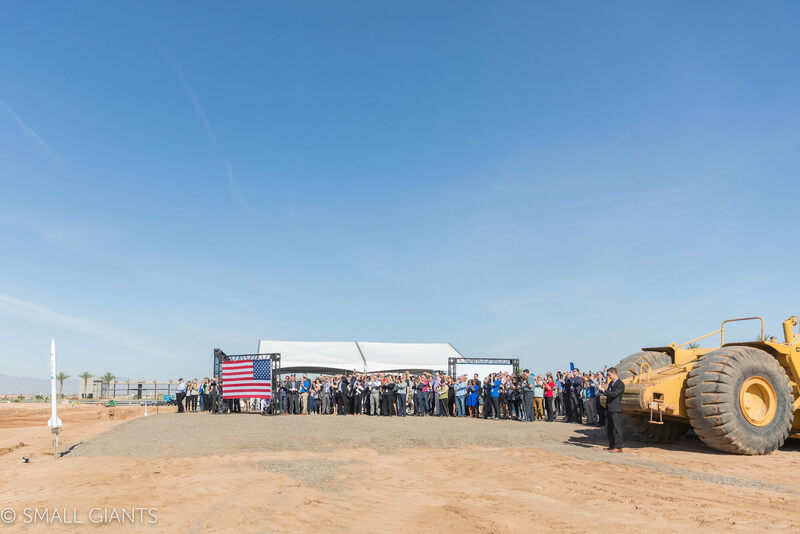 The fact that they are going to co-locate in a city that is driving a mecca of technology and innovation is an additional win in welcoming Orbital ATK to Park Place,” Allred commented. 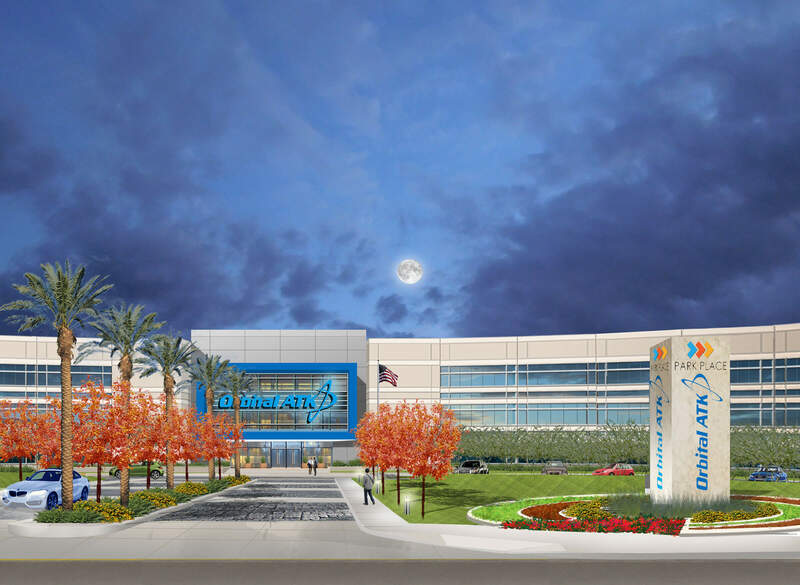 “Chandler’s economic development team is very forward-thinking, planned out the infrastructure well, and is just top-notch to work with to achieve the long-term vision for Park Place and this innovation corridor,” Allred said. Developed by Douglas Allred Company, Park Place is a 180-acre master-planned office/flex space development. Since the Price Road Corridor was first identified as a major employment area through city planning and development documents in 1982, the Maricopa Association of Governments reports, approximately 540 businesses have set up operations in the area, accounting for more than 36,000 jobs. Douglas Allred Company was a pioneer in this envisioned area, investing in more than 72 acres of land in 2007 at what is now known as Park Place. Today, Price Road Corridor is known for its prime location, infrastructure and access to highly-skilled and educated workforce, which make it a hotbed for leading-edge companies involved with advanced business services, aerospace, life sciences, sustainable and high technology research and manufacturing. Willmeng Construction, established in 1977, is a Phoenix-based building contractor that specializes in ground-up and tenant improvement projects in Arizona. Willmeng stays true to building excellence, supports prelease transactions, maintains their ability to execute small and large projects, and strategically develops and recruits the highest performing employees in the industry. Willmeng has been built on great relationships, a commitment to earn the next project while delivering this one, and the reputation of positively impacting the community through projects and volunteerism. Visit www.willmeng.com for more information. Based in coastal, North San Diego County, Douglas Allred Company is a full-service real estate firm with projects in commercial, industrial, retail, and residential sectors. They are a recognized leader in both real estate development and asset management. At the core of their reputation for excellence is teamwork and the personal involvement of their principals in every phase of project development. The company retains many of the properties for investment purposes and continue to maintain the relationships they have established with customers, partners, lenders, and the communities they serve. For more information, visit www.douglasallredco.com.